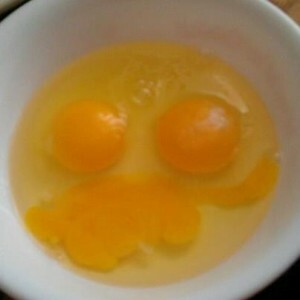 An Egg-stra Smiley for You! My son was making eggs for breakfast, and this was the formation when he cracked them into the bowl. What a great way to start the day!